The Palazzo Barbarigo. 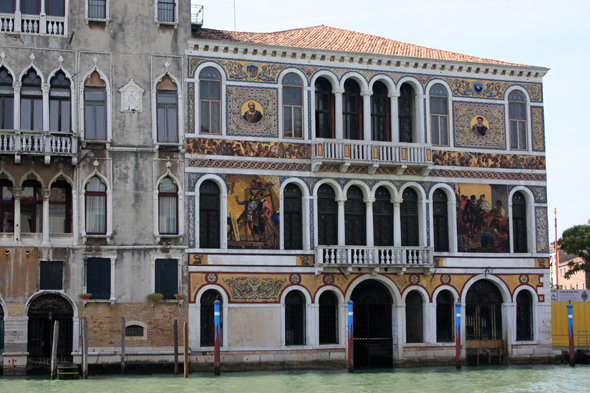 This palace is easy to locate because of the wide mosaics in the golden reflections recovering its facade. One of them represents a glass-blower, an illustration intended to remind that the owners of the palace were industrialists of the glass factory of Murano.